Today, in this article let's play around with another interesting concept of Telerik RadControls. In simple terms "It enables to provide a rich GUI interface which navigates through a group of images.". Hope this article is useful! The Slider control in Silverlight 5 is used to allow a user to select from a range of values by sliding it along a track. You can create a horizontal or vertical slider. You can specify the range of values and the precision of movement too. To demonstrate the use of the Slider control, let us create a TextBox with some text which is enlarged or shrunk depending upon the slider value. Create a Silverlight 5 application and replace the Grid tag with the Canvas tag. Drag and drop the Slider from the Toolbox into your XAML code (between the Canvas tags). Also drag and drop an TextBox control. The sole reason for using a TextBox here instead of TextBlock is that a TextBlock does not support the Background property and we wish to specify a background here for the control containing the text. Creates a TextBox with the text "Silverlight Rocks!" and positions it on the canvas at 40,30 location. Creates a Slider control with transparent background, maximum 150 and minimum 0, small change (precision of movement) as 5 and height and width as 25 and 150 respectively. Creates an event handler for Value Changed event of Slider. The logic in this code is self explanatory from the comments. When you build and execute your solution and move the slider, you will see the text increasing or decreasing in size. Though this was a simple demonstration, in actual scenarios, you can customize the Slider control through its various properties. You can also enhance its design characteristics in Expression Blend 4 if required. European Silverlight 4.0 Hosting - Amsterdam :: How To Control Playback of Media Using a MediaElement of Silverlight? We can integrate media into our Silverlight pages and WPF UserControls. The MediaElement object provides several media-specific properties. The following list describes the commonly used properties. AutoPlay: Specifies whether the MediaElement should begin playing automatically. The default value is True. IsMuted: Specifies whether the MediaElement is silenced. A value of True mutes the MediaElement. The default value is False. Stretch: Specifies how video is stretched to fill the MediaElement object. Possible values are None, Uniform, UniformToFill, and Fill. The default is Fill. Volume: Specifies the volume of the MediaElement object’s audio as a value from 0 to 1, with 1 being the loudest. The default value is 0.5. In addition to its media-specific properties, MediaElement also has all the properties of a UIElement, such as Opacity and Clip. You can control media playback by using the Play, Pause, and Stop methods of a MediaElement object. <Canvas Background="Red" Canvas.Left="10" Canvas.Top="185" Height="25" Width="50"
<Canvas Background="Green" Canvas.Left="70" Canvas.Top="185" Height="25" Width="50"
<Canvas Background="Blue" Canvas.Left="130" Canvas.Top="185" Height="25" Width="60"
<Canvas Background="Black" Canvas.Left="10" Canvas.Top="215" Height="25" Width="180"
Just as it was in Silverlight 4, Printing is centered around the PrintDocument class, found in System.Windows.Printing. This class has three primary events: BeginPrint, EndPrint, and PrintPage, which are your hooks into the printing system. You do setup in BeginPrint, teardown in EndPrint, and all the actual page production in PrintPage. 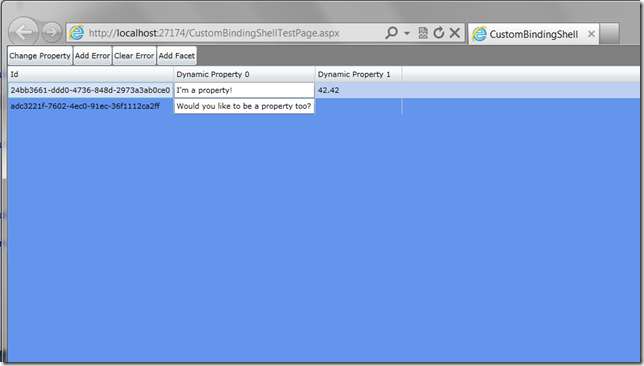 Here's the simple test page XAML I used for this printing example. The application UI looks really simple, just three buttons on a page. This is one of my finest designs. Next, I'll wire up an event handler for each button, and use it to demonstrate the behavior of the three different printing approaches. Here's the code for a basic vector print of 30 rows. Note that the PageVisual is assigned after the printPanel is populated. If you assign it prior, and do not force a recalculation of layout (in my example, the panel isn't in the visual tree, but layout is calculated with you assign PageVisual), you'll get a StackPanel with 30 items all piled on each other in the same row. The easiest way to fix this is to assign the PageVisual after the visual has all its children populated. You could also point the PageVisual to an on-screen visual if you desire. If you're going to do that, you'll need to unhook the visual from the tree first, as a single element cannot have two parents. If you have no more pages to print other than this one, set HasMorePages to false. If you have additional pages after this one, set it to true. New in Silverlight 5 is the PrinterFallbackSettings class. This class is used by one of the overloads of PrintDocument.Print to set two options: ForceVector and OpacityThreshold. In the previous example, if you had any elements that had opacity other than 1.0, perspective transforms, or other things PostScript doesn't understand, Silverlight would silently fall back to bitmap-based printing. 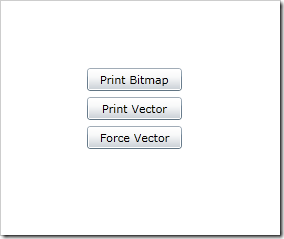 ForceVector forces Silverlight to print in vector mode, assuming you have a PostScript-enabled printer driver, even when postscript-incompatible items exist in the element tree assigned to PageVisual. You use this in tandem with OpacityThreshold. The Opacity threshold sets the value over which Silverlight will treat an element's opacity as 1.0 to support PostScript printing. If your content or your printer doesn't support PostScript printing, Silverlight automatically falls back to sending an uncompressed bitmap to the printer. If your printer doesn't support PostScript, you'll see the effect of opacity in the printed results (some items lighter colored than others, for example) as the fallback bitmap mode supports opacity. Sometimes you know you want to print in bitmap mode. Rather than let vector mode fall back to bitmap, you can simply force bitmap printing from the start. If you have a PostScript compatible printer and driver, this is quite a bit faster than it was in Silverlight 4, as the bitmap is compressed. If you don't have a PostScript driver, it sends a plain old uncompressed bitmap just like Silverlight 4. Bitmap mode will preserve the opacity settings, as well as ensure render transforms are printed (assuming you apply them) etc. It's not the best approach for printing a report, but it's the highest-fidelity approach for printing visuals when you want to do the equivalent of a print-screen. The resolution of the bitmap sent is set to the selected printer resolution, typically 600dpi. Leave out perspective transforms, 3d, and other things not compatible with PostScript printing. Silverlight boasts several performance enhancements that will improve its speed and scale within the enterprise. The first is the ability to run animations on the composition thread instead of the UI thread. The UI thread is a dedicated thread that handles input and output for the user interface. It is where much of the rendering computations and actions take place as well as polling for mouse movements and keyboard input. Heavy computations on the UI thread will cause other operations to become blocked and the application to become unresponsive. The composition thread is a separate thread that was introduced to provide rendering for 3D graphics in Silverlight 5. It can also be used to run animations. This is important because animations usually run on the UI thread. Not only do they take resources from other processes competing for this thread, but also can degrade when there is massive work performed on the thread. By moving certain animations to the composition thread, they can run independently and remain fluid despite processing on the UI thread. Animations are run on this thread when the UI element that is targeted has the cache mode set to BitmapCache and GPU acceleration is enabled for the Silverlight application. A second enhancement is the provision of a multi-core Just-in Time compile (JIT). This means the Silverlight runtime can generate code more quickly and provide a faster response time on multi-core machines. Additional optimizations of the networking stack have led to reduced network latency, which means better responsiveness when connecting to remote systems. Add to that speed improvements that were made to the XAML parser and you end up with a well performing system that should run faster on the same hardware as compared to its predecessor. According to Microsoft, improvements to the networking thread alone reduce latency by up to 90 percent. Why would I want to trick Silverlight into treating Dictionary values like real Properties? There are scenarios when complex, data-intensive applications will need to data bind to keys/value pairs or generally determine the properties of a Class at runtime. In cases where there could be large numbers of keys or the keys could change without an application re-deploy, this is a tricky problem to solve. In Silverlight 5, however, you can use ICustomTypeProvider to achieve the same goal in a clean fashion. Some systems, such as Pivot Viewer, allow you to specify any number of pseudo-Properties about interesting items, which we’ll call Facets. Using a structure like a Dictionary, we could specify any number of Facets. Two-way data binding to these is problematic however since they aren’t real CLR properties. In the full .NET Framework you can do tricks with ICustomTypeDescriptor, and now in Silverlight 5 we have System.Reflection.ICustomTypeProvider. Let’s create a simple Facet class to represent data about the Facet we’d like to data bind to. Next we’ll create an object with a regular CLR property and a dictionary to store key/value pairs. These key value pairs will be made binding-friendly. The interesting thing here is the ICustomTypeProvider interface implementation. /// A custom System.Type implementation that can provide different Properties at runtime. In here, we can just use the this indexer of our FacetedObject class to get and set values. To show how this concept works, let’s create a Silverlight 5 application with a DataGrid. We’re going to get the datagrid to display “properties” that technically speaking are not there. First we’ll create a couple of Facets assigned to FacetedObject by default called “DynamicPropZero” and “DynamicPropOne”. For these two we can create DataGridColumns along with an actual compile-time Property of FacetedObject. Here’s the code we’re using to create the sample data in our main ViewModel. Note that we're going to explose the dictionary values as properties. Notice the buttons above the DataGrid. These dynamic properties wouldn’t be very useful unless they are first-class citizens, and they are. Note that FacetedObject also implements INotifyPropertyChanged and INotifyDataErrorInfo. By clicking the buttons we fire commands that affect changes in code, and the UI reflects the changes for the dynamic properties. Now, recall at the beginning that I said this could be completely dynamic and that we could actually create both the Facet data and visuals in a data driven fashion at runtime. Clicking on the Add Facet button demonstrates this. After clicking OK, we can do some work to add this Fact to the items on the ViewModel, and also dynamically create a new DataGridColumn to display the data. For some, this last piece of code will look like the worst kind of voodoo, but there are cases where your requirements will dictate this level of flexibility and this combination of techniques will help you get there. Maybe there is a working solution for this already out there, but I created my own Silverlight Behavior for a basic TextBox Watermark which might be useful. Like so many Watermark-solutions out there I’m hooking into the GotFocus/LostFocus events and to the work there. Works for me. 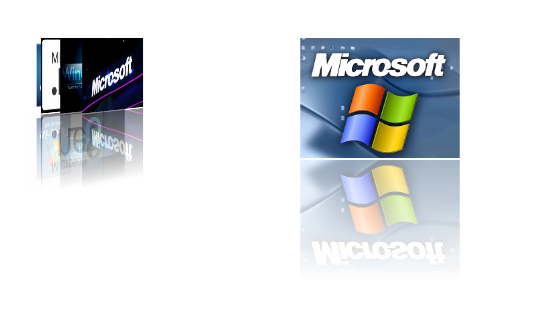 In this article we will be seeing how to create Silverlight BlurEffect using Visual studio 2010. Pixel shader effects in Silverlight allows you to add effects, such as gray scale, red eye removal, pixel brightness, and shadows, to rendered objects. There are two types of Pixel Shader effects in Silverlight. They are BlurEffect and DropShadowEffect. In this we will be seeing about BlurEffect and its properties. BlurEffect is used to represent an effect that we can apply to an object that simulates looking at the object through an out-of-focus lens. It is defined by the Radius property. This property is used to specify the amount of blur to apply to an object. - Open Visual Studio 2010. - Go to File => New => Project. 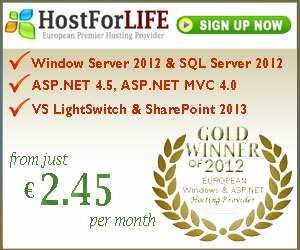 - Select Silverlight from the Installed templates and choose the Silverlight Application template. - Enter the Name and choose the location. - In the New Silverlight Application wizard check the "Host the Silverlight Application in a new Web site". Open MainPage.xaml file and replace the code with the following. Isolated storage gives you access to a small segment of hard-disk space, with certain limitations. For example we don't know exactly where our files are being stored. We also can't read the files left by another Silverlight application or recorded for another user. In essence, isolated storage provides carefully restricted, tamperproof file access for applications that need to store permanent information in the local PC, so that information can be retrieved the next time the user runs the application. Isolated storage provides a virtual file system that lets you write data to a small, user-specific and application-specific slot of space. There's no way to know beforehand exactly where the data will be written, and the default space limit is a mere 1 MB (although you can request that the user grant you more). Is it similar to browser Cookie? Essentially, isolated storage is the Silverlight equivalent of persistent cookies in an ordinary web page. It allows small bits of information to be stored in a dedicated location that has specific controls in place to prevent malicious attacks. Isolated storage is persistentâ€“unlike the browser cache, it never expires, and it's not removed if the user chooses to explicitly delete temporary Internet files. Isolated storage isn't a good storage place for important documents, because they're never backed up, are easily deleted, and can be even more easily lost. Isolated storage is intended to be a limited-size storage location for data, not a handcrafted replacement for HTTP Caching. With isolated storage, a unique storage location is created for every combination of user and application. In other words, the same computer can have multiple isolated storage locations for the same application, assuming each one is for a different user. 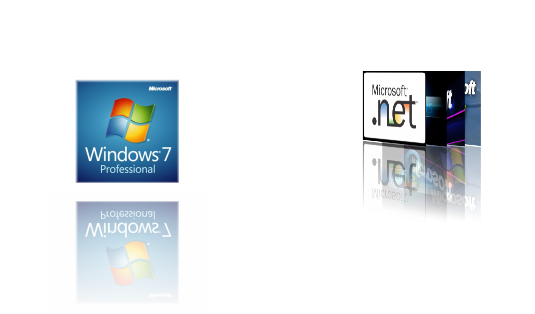 Similarly, the same user can have multiple isolated storage locations, one for each Silverlight application. Isolated storage isn't affected by browser, so a Windows user switching from Internet Explorer to Firefox will get the same isolated storage location in both browsers. What all can we store in an Isolated Storage: Good choices include user-specific details, user preferences, and information about recent user actions. Isolated storage is also great temporary storage. So now we are ready to create a application which will demonstrate how it works. Step 1: Create a Silverlight Application project and name it IsolatedStorage. Step 2: Now we will try to understand how to write data and read data from these storages Medias. We will also see if we want to increase the space on the handdisk; how can we do that as well. <TextBlock Text="Enter Your Name" Margin="3" Padding="5" HorizontalAlignment="Left"
<Button x:Name="btnWrite" Margin="5" Padding="5" Width="90" Height="30"
Content="Click to Write" HorizontalAlignment="Center" VerticalAlignment="Top"
<Button x:Name="btnRead" Margin="5" Padding="5" Width="90" Height="30"
<Button x:Name="btnSize" Padding="5" Width="180" Height="30"
Content="Click to Increase Disk Storage Space"
<TextBlock x:Name="lblData" Margin="5" HorizontalAlignment="Center" VerticalAlignment="Top"
Step 3: Now come to Code Behind and write handler for btnWrite_Click. Also add this Isolated storage namespace. // Write to isolated storage. //location where you can store data. //then a storage site that's accessible to all the Silverlight applications on the same website domain. Let us concentrate on this line. Step 4: Press F5 and test write and read buttons. Step 5: Now let's concentrate on how disk storage works. Initially, each Silverlight application gets 1 MB of space in it's isolated store. You can examine the IsolatedStorageFile.AvailableFreeSpace property to find out how much free space remains. If your application needs more space, you can use an option: the IsolatedStorageFile IncreaseQuotaTo() method. We must request a value that's higher than the current quota. Otherwise, you'll receive an exception. That means you can't use the IncreaseQuotaTo() method to ensure that there's a certain level of free space. If everything goes well, you will be presented with something such as shown in the figure below.